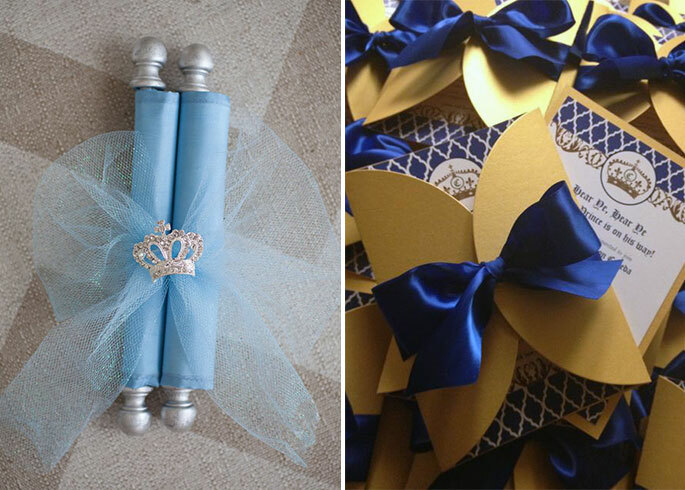 For a fun way to invite your guests to your royal party, why not make your invitations into a traditional scroll? Use calligraphy when writing your message to make the scroll invitations look authentic and fasten them with ribbon for an adorable finishing touch. Set the scene by decorating the house with traditional bunting. Make them in blue and gold for a sweet royal touch and hang them across walls, between door frames or even decorate chair backs with them. And no party would be complete without tons of balloons! 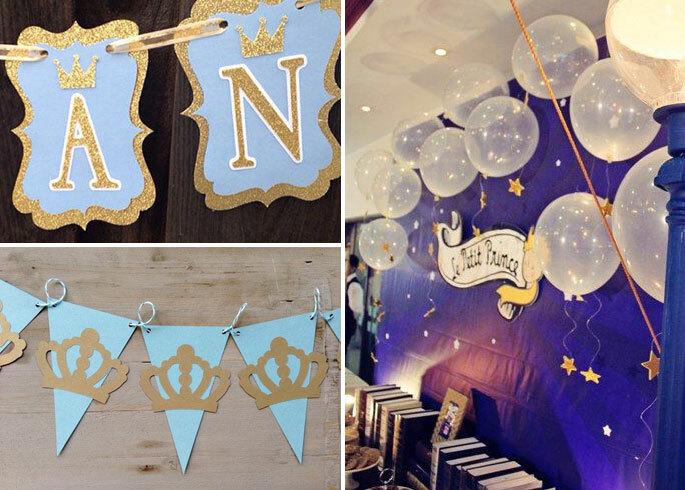 Give yours a royal twist by filling them with gold glitter and tying them to a star or crown shaped balloon weight. Make sure your guests are eating like Kings and Queens by providing ample amounts of fun party foods! Try making these elegant quilted petit fours, cupcakes decorated with sweet crown cupcake toppers, or delicious crown cookies. Present them on traditional styled cake stands for that extra special touch that your guests will love! What kind of birthday party would it be without a cake? 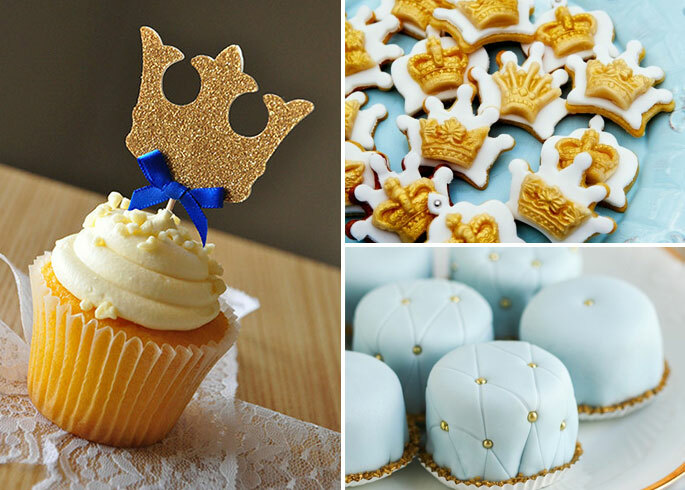 Blue, gold and white frosting work really well for this theme and make sure to decorate it with a show-stopping crown or a castle on the top to make it the centrepiece of the party! 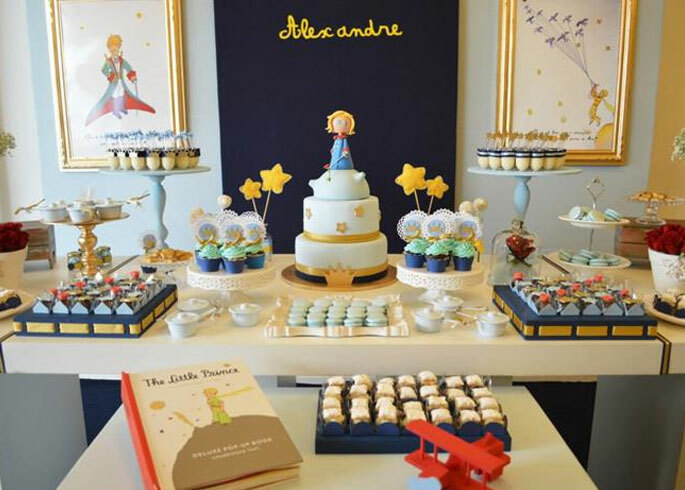 Keep all your little guests entertained by playing fun royal themed party games throughout the day. 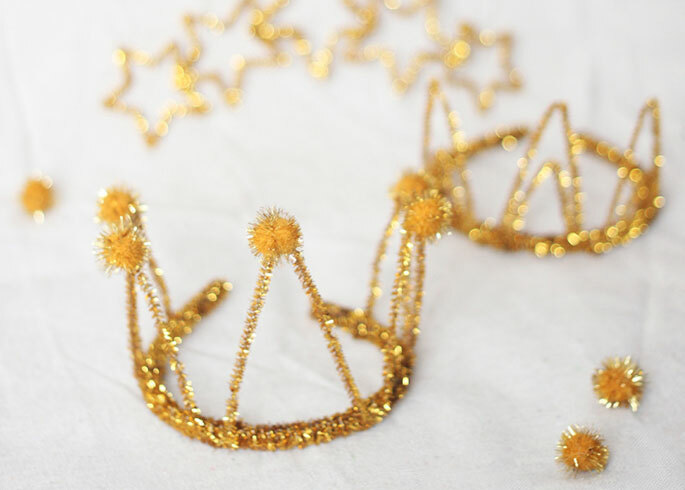 Why not get them making their own sparkly crowns - we suggest you do this at the start of the day so your little attendants can wear them for the whole party. And for those energetic kids, blow bubbles and have them pop the bubbles with their swords. First one to pop all the bubbles wins! 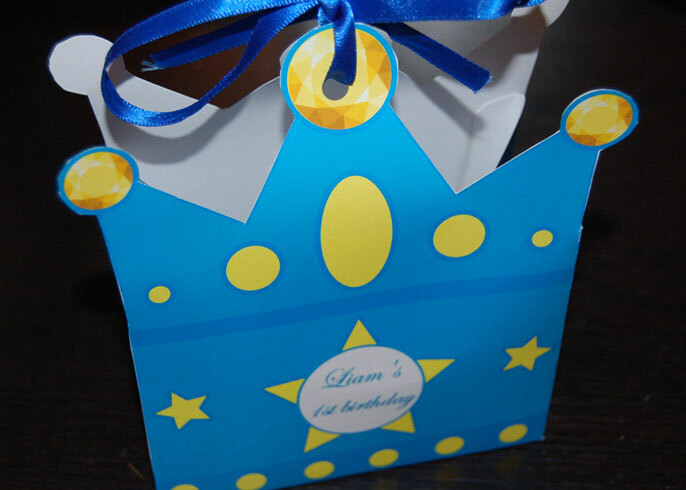 Party bags are a must have for kids parties and we think crown shaped ones like these would look great for this theme. 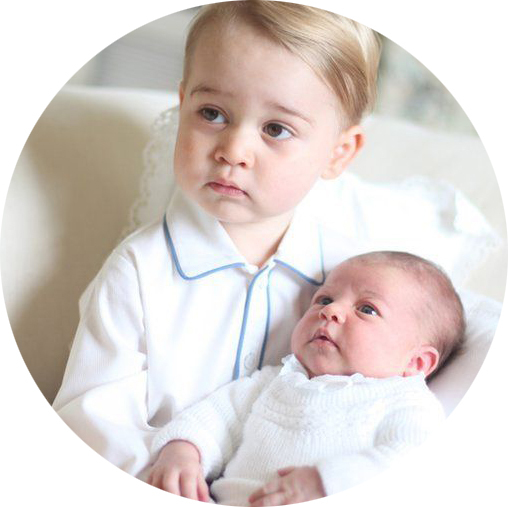 For princes, you can gift them with a goblet filled with sweets and a toy sword. 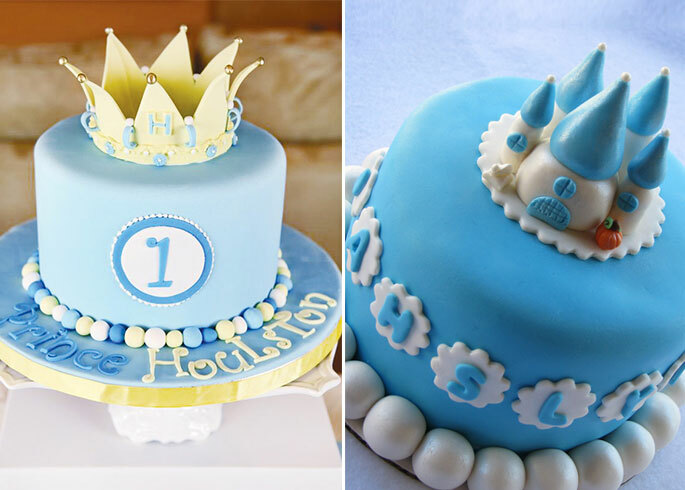 For the princesses, try filling them with a sparkly tiara and a magic wand.